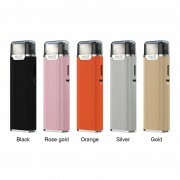 Shipping restriction: Due to exclusive distributor of Joyetech, we do not send Joyetech products to customers in South Korea、United Kingdom. 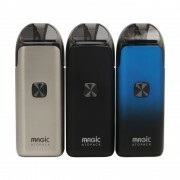 Joyetech ATOPACK Magic Kit, a new member of the ATOPACK series, is a compact and small pod system. 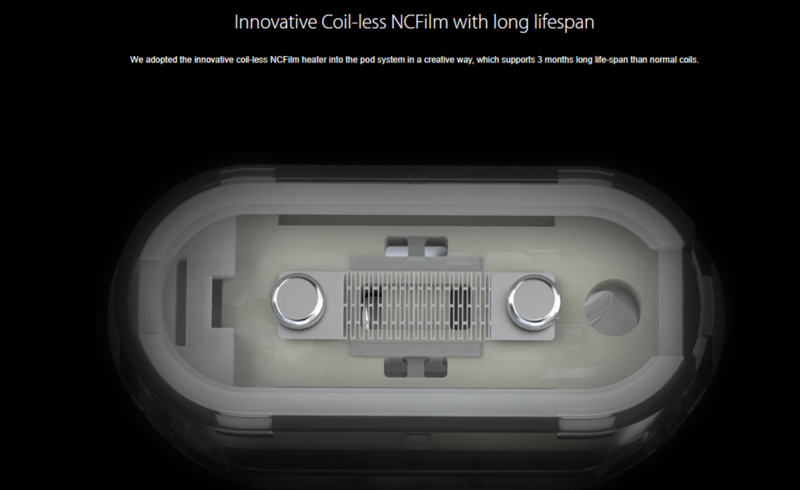 It adopts innovative coil-less NCFilm heater with long lifespan and features quick-to-change cotton system. 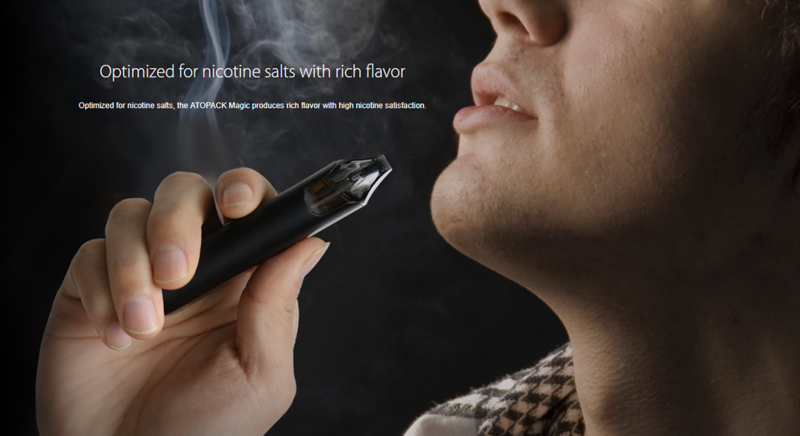 Optimized for nicotine salts, it can deliver rich flavor with high nicotine satisfaction. 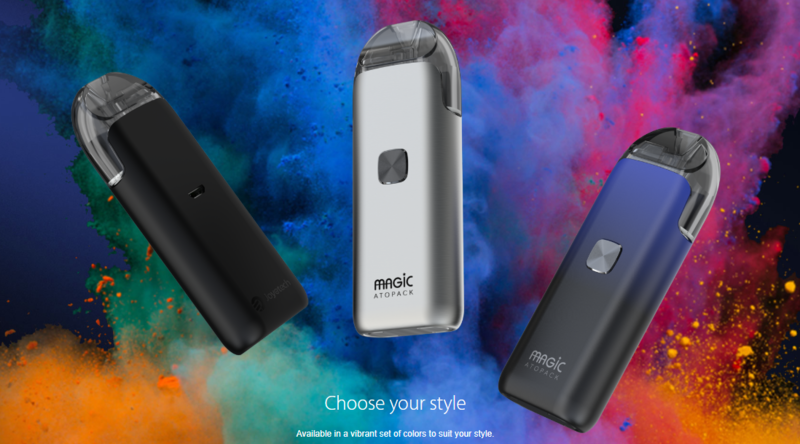 Having ultra-efficient low voltage and 1300mAh battery life, the ATOPACK Magic can satisfy you for all day long. 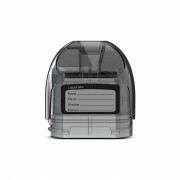 It features battery life indication, and you’re also free to switch different indicator lights. 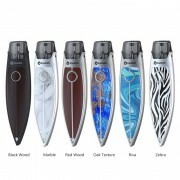 In addition, the refillable cartridge has a 7ml huge e-liquid capacity, offering you a total enjoyment. 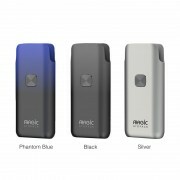 How to charge ATOPACK Magic? 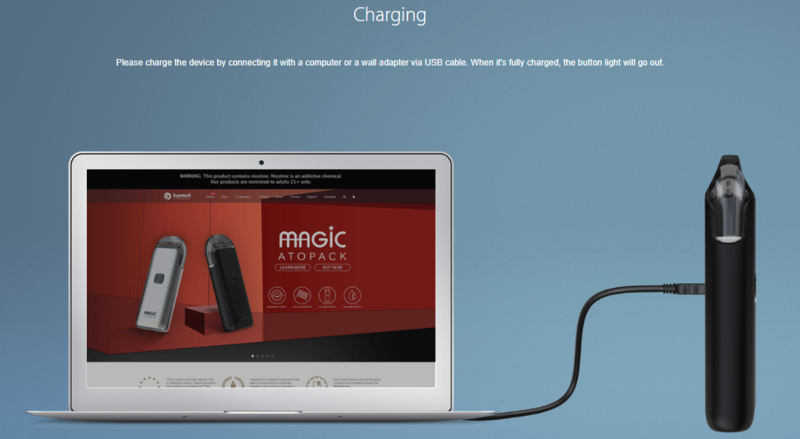 Please charge the ATOPACK Magic Battery by connecting it with a computer or a wall adapter via USB cable. When it's fully charged, the button light will go out. 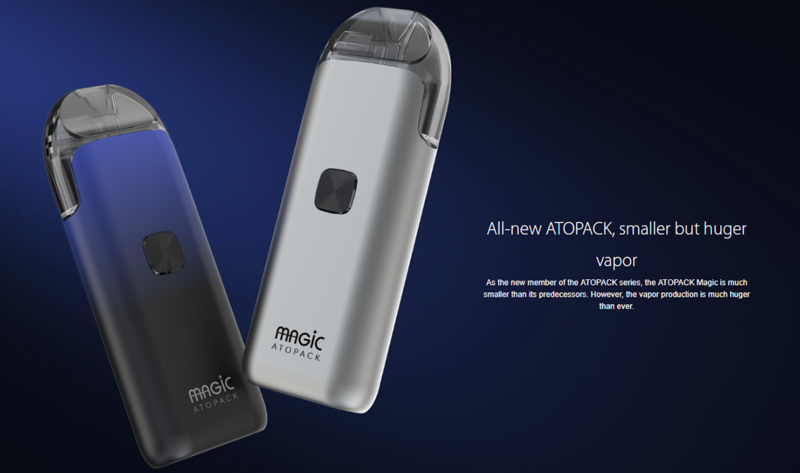 ❤ Please read the user manual carefully before using this Joyetech ATOPACK Magic Kit. 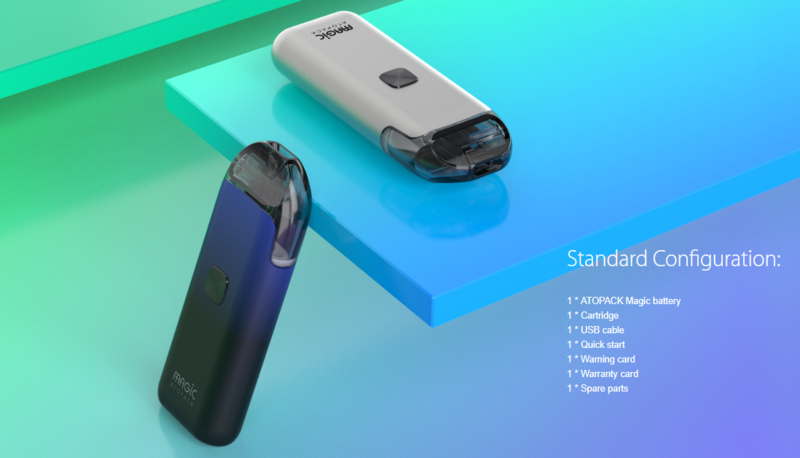 ☞ 6 months warranty period for Joyetech ATOPACK Magic Kit.